The company EBS Partners AG, which has the status of the Oracle Gold Partner, has confirmed the high level of competence in the field of integrated automation of transport logistics functions based on the business applications on the platform of Oracle Transportation Management (OTM) and received the appropriate Oracle specialization within the Oracle Partner Network Specialized program. This status is the confirmation of the company’s expertise on the part of Oracle and an evidence of the successful projects and clients. 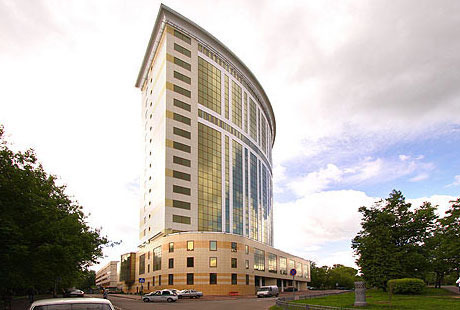 On February 1, 2012, EBS Partners AG (Zurich, Switzerland) announced their intention to establish a branch in Moscow, specializing in the consulting services and deployment of the business applications to manage logistics, including transportation operations management – Oracle Transportation Management (OTM); Warehouse Management Systems (WMS); Business Intelligence (BI) and a number of the Oracle E-Business Suite related modules for Supply Chain Management (SCM) and financial management. Merry Christmas and Happy New 2012 Year! EBS Partners AG congratulates their colleagues, partners and friends and wishes them a Merry Christmas and a Happy New Year! We wish you success in all your new ventures in 2012! We are happy that we have you. Working closely, keeping up to date, we are opening the new horizons together in the implementation of the information technology in the field of transport logistics. Using the Oracle products, we are making business both easier and deeper. Let the year of 2012 be even more productive, interesting and full of IT events; let the solutions be accurate, and let success and happiness be an integral part of your business in the coming year.